Welcome to the first in a new series titled ‘A portrait of Thame’. In this series I will be taking a photographic portrait of local people of interest from in and around the area of Thame, Oxfordshire. An image from each portrait session will then go the Thame Hub website to accompany an interview that they have conducted with each person, while the ‘A portrait of Thame’ articles are designed to give a behind the scenes look at each session, including some photography setup tips for anyone interested in how I work. Read the accompanying article on the Thame Hub site here. 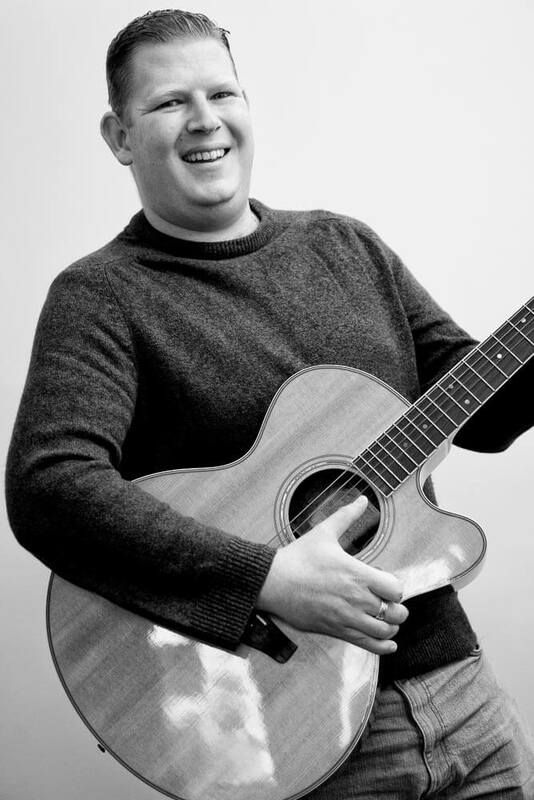 So, without further ado the first subject in the ‘A portrait of Thame’ series is… Simon, from Thame Music Academy. Thame music academy is situated in a beautiful old building on the Upper High Street, conveniently situated opposite the car park which I’ve discovered provides a generous amount of free parking most days of the week. On my arrival Simon showed me around the home of the academy and I was particularly interested in some of the artwork on the walls of record covers (many of which I’m sure I’ve owned at some point in my life). We had a great chat about Simons life and career before moving on to creating the image I needed for ‘A portrait of Thame’. Wanting to create a portrait that shows the viewer what Thame Music Academy do, I looked to include an instrument as a prop in the image. Starting with the piano, I asked Simon to sit down with an impressive looking piece of sheet music (which I later discovered to be Mozart) and play the piano while I moved around trying to find the best angle and work out the lighting. Whilst listening to the music it is obvious that Simon knows his way around the keys of a piano as well as I know my way around the workings of a camera. I quickly found that as the light was coming from a window behind Simon, that if I took the photo without the aid of another light source, his face would be in deep shadow and not very flattering. Simply turning him around 180 degrees was not an option so I needed to look at an alternative way of injecting some light into the scene. A delve into the camera bag of tricks and I soon had my Canon 600EX-RT set up on the edge of the piano, pointing at a side wall so that it would bounce back and produce a nice soft light. To trigger the speedlight, I used the ST-E3-RT transmitter mounted on the camera hot-shoe. This combination had the desired effect of throwing some light onto Simons face. Now all I needed to do was get a pleasing pose and camera angle to add some interest. 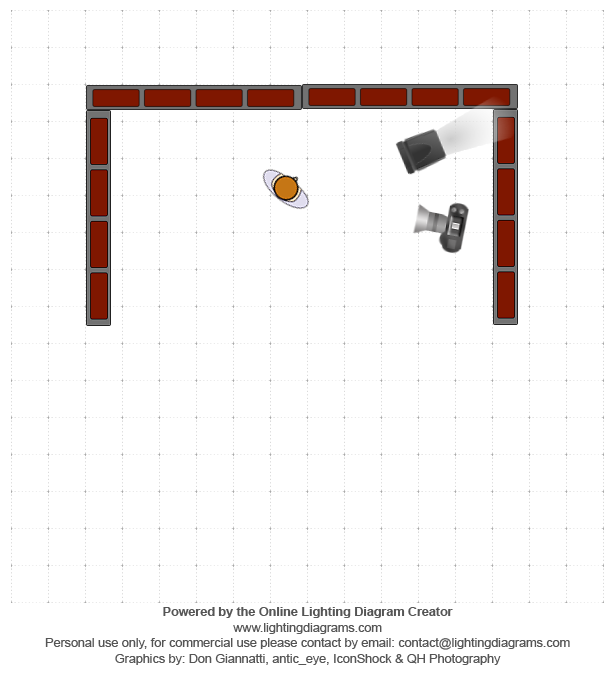 The lighting diagram below shows the set up. Getting Simon into a pleasing pose was simply a matter of getting him to move around until it looked nice in camera. I knew that I wanted to include the piano and the sheet music whilst keeping the whole image tightly cropped to retain the viewers interest. An aperture of f4 helped throw unnecessary parts of the image out of focus while retaining interest on elements that mattered. Once we had that image sorted, it was time to move on and see if I could incorporate another instrument somehow. The obvious choice was a guitar. Getting Simon to stand and hold the guitar gave a pleasing composition, but again the lighting needed a little lift from the 600EX-RT to help bring some additional light onto the face. This time bouncing the flash off the ceiling gave the soft lighting that I was looking for. Once I got back to the studio to edit the images it took a quick tweak in Lightroom and a Photoshop black and white conversion to finish the images. 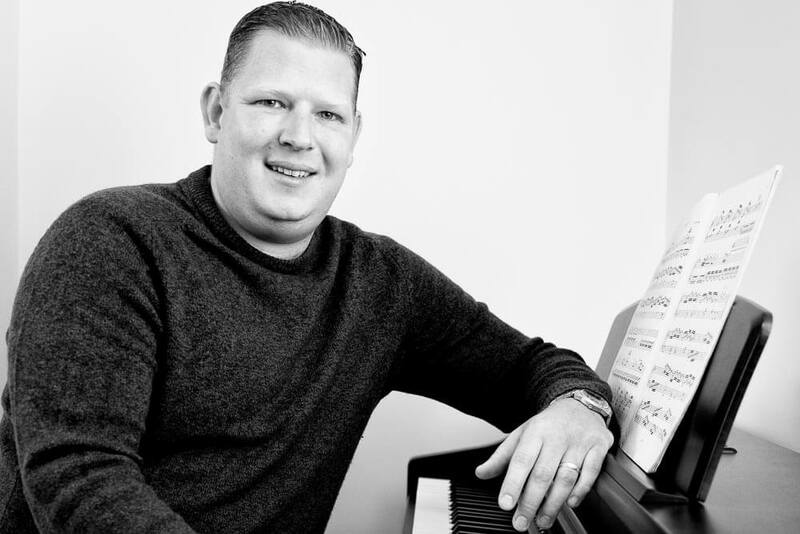 I enjoyed meeting Simon and creating these images for Thame Music Academy. I am looking forward to a lot more sessions in the ‘A portrait of’ series. If you are a small business owner in and around the area of Thame, Oxfordshire just drop Thame Hub a line and we can get you featured soon. I welcome comments below. For more of my work, please have a look at my business, family and dog portrait galleries by following the links.